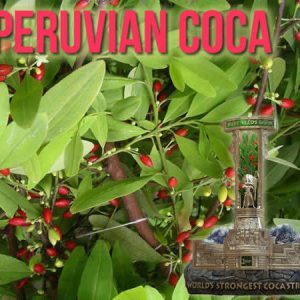 The original coca, and until recently, was the most popular. 3rd place coca cup winner. Also known as the producer of the world famous Bolivian Cocaine. 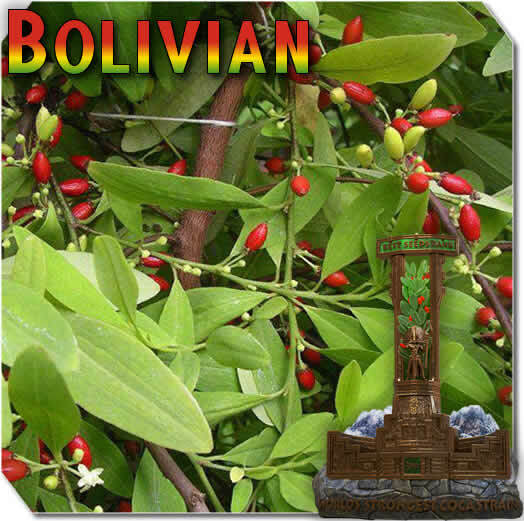 Bolivian Coca is one of four cultivated plants in the family Erythroxylaceae. It’s native to western South America. The plant grows as a cash crop in Bolivia for domestic use. You can hear the locals chanting “coca yes, cocaine no”. Chewing coca leaves in Bolivia is normal and traditional.